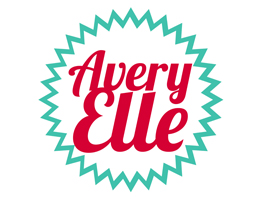 Avery Elle Steel Dies LARGE PIERCED SCALLOPS D-06-09 at Simon Says STAMP! D-06-09 This item is on reserve until If you would like to reserve this item now, you may purchase it now with the rest of your order. We will hold your order now and ship your entire order as soon as this item is back into stock. If you would like your order to ship now, please place this item on a separate order. Success, Avery Elle Steel Dies LARGE PIERCED SCALLOPS D-06-09 has been shared! The Large Pierced Scallops dies create fantastic layered scalloped, rectangle and pierced die cuts for your project needs. Includes thank you sentiment die. Outer scalloped die measures: 4 7/8 x 4 1/8 inches; outer rectangle die measures: 3 1/2 x 2 1/2 inches; inner scalloped die measures: 3 1/2 x 2 5/8 inches; inner rectangle die measures: 2 5/8 x 1 7/8 inches; thank you sentiment die measures: 2 1/8 x 1 7/16 inches. 5 dies total. Exclusive Steel Dies are proudly made in the USA.